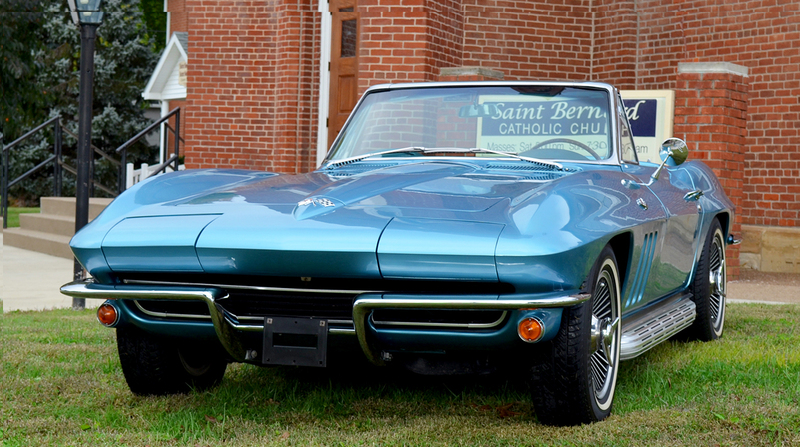 This is our 31st Annual Classic Car Raffle, and we thank you for purchasing tickets. 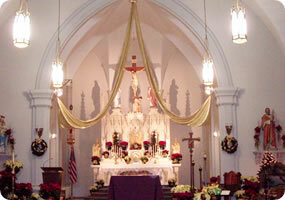 This is a volunteer effort and ALL proceeds benefit Saint Bernard Catholic Church and School in Rockport, Indiana. The drawing is August 17, 2019 at 9:00 p.m. CDT at the conclusion of the St. Bernard Summer Social. Indiana Raffle License #148052. Opportunities are only $30 each or 4 for $100. 327-300 hp, 4 speed, numbers match, in show condition with 26,350 miles. 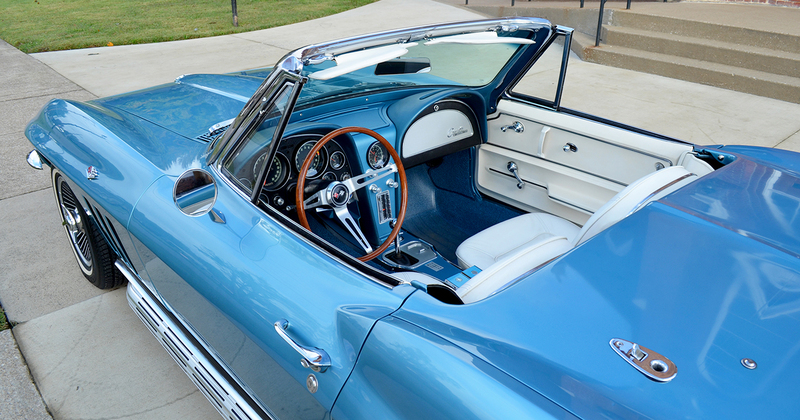 Beautifully restored with the original color combination of Nassau Blue paint, white interior and white soft top. Options include power steering, factory side exhaust, SS brakes, AM/FM radio, K.O. aluminum wheels and white stripe radials. Most all factory correct type components with owner’s manual, restoration and NCRS documents included. The GM production date was 12/16/64. Looks, runs and drives fantastic! Purchased from Streetside Classics in Nashville, TN.